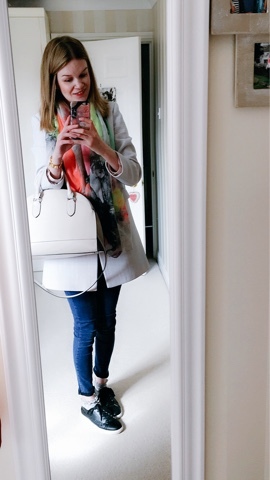 Welcome to the second post of the series #SundayStyle! I am so pleased you all seemed to love the first blog post so I thought I'd do my second post on myself and to show you some of my favourite outfits I have been loving recently. Now I'm not the type of person who takes selfie's of themselves all the time because I am just not interested in that and when I'm off to work that is the last thing I want to be doing. If I buy something new or I'm in the mood to take an outfit of the day I will. So on Friday the weather was so warm and thought it would be the perfect moment to bring out my Zara mono dress I got in the January sales. Its perfect when the sun is out and you have off into town which on this occasion I was doing. If you did not already know I'm a tall girl and this dress was such a good fit. 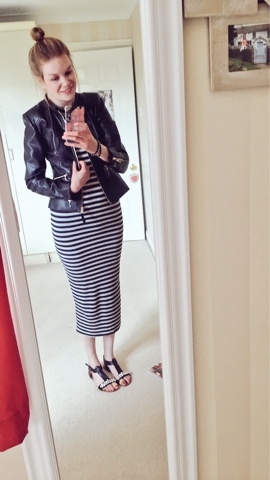 I also paired it when my Zara leather jacket I bought last year and I wore my black sandals from Next. Its a simple summery oufit and even looks good without the jacket but still looks classy! Next up there a a few different oufits I love and wanted to share with you in this post! I love both of these looks simply because they are both different but show you that you can wear a pair of trainers with a smart coat and yet it still looks good. 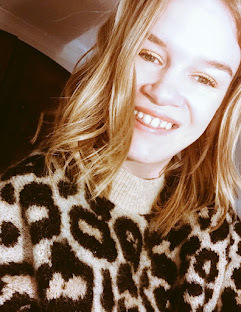 I bought the jumper in the January sales as it was the perfect jumper to where when in the winter months and I hope they bring some more out this year! I absolutely adore this outfit so much! Let me tell you why. So now you get what I am talking about right? I love Topshop if you guys do not already know and they do the best coats ever! Every season they seem to do it! I sometimes feel that are can be too over priced! I would love for you to let me know which outfit you liked the best! 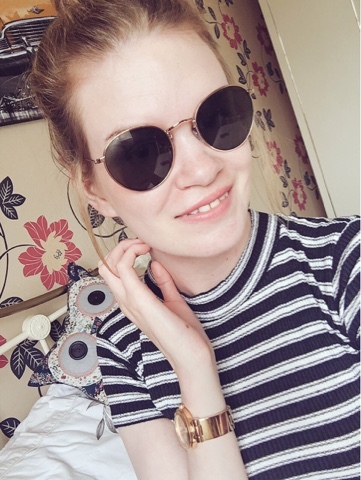 I would love to do another SUNDAY STYLE BY LOTTIE very soon and as always I hoped you enjoyed this post. Don't Forget If you are not following me on Instagram make sure you guys do! 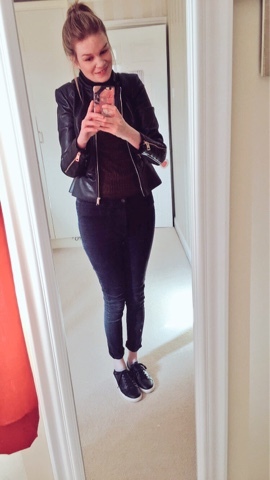 I have been posting a few of these style inspiration selfies, vintage pictures and may more. Just click the link to my Instagram account!